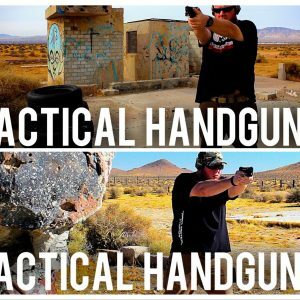 AS OF MARCH 2019, WHAT WAS ONCE KNOWN AS TACTICAL HANDGUN 1 & 2 HAS BEEN PERMANENTLY COMBINED AND IT’S NOW JUST CALLED TACTICAL HANDGUN 1. IT IS THE SAME EXACT COURSE THAT USED TO BE CALLED TACTICAL HANDGUN 1&2. IT IS AN 8 HOUR CLASS. WHAT WILL BE KNOWN AS TACTICAL HANDGUN 2 IS A COMPLETELY NEW ADVANCED CLASS AND TAKING TACTICAL HANDGUN 1 IS A REQUISITE FOR IT. 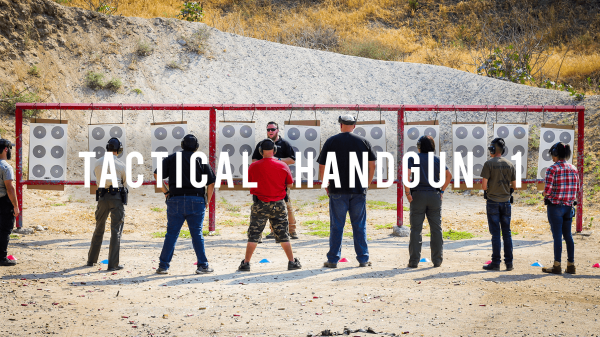 Tactical Handgun 1 is an 8 hour intermediate handgun class that pushes you to excel with the limitations California has set on you (CA Roster, 10 round magazines, etc.). 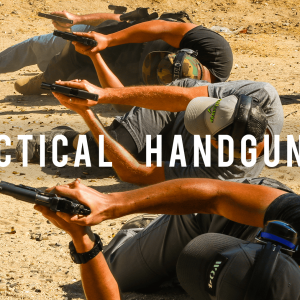 This all-day class will focus on the fundamentals of shooting, holster work, shooting while moving, and shooting from cover. Learn how to shoot handguns effectively, accurately, and confidently. In this class you will learn the fundamentals of handgun marksmanship and become proficient in safe handling of pistols. Prior to signing up for any Tacticalifornia courses you must verify that you are legally and physically able to attend. Our courses require that our students are comfortable with shooting in close proximity to other students and maintain a fitness level capable of standing for long periods of time. Students must be capable of movements that include: kneeling, prone, and maneuvering around obstacles. You will not receive a refund if you attend a class and do not meet these requirements. This course will be held Thursday May 16th, 2019 from 9:00am-5:00pm. Lunch will NOT be provided so please bring your own lunch. There is nowhere nearby to run and get food so if you do not bring any, you’ll be hungry.